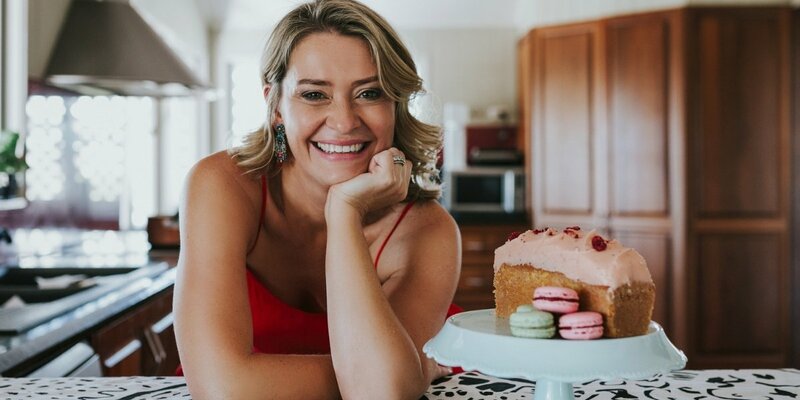 Alumna Katrina Meynink, an accomplished food journalist, recipe developer and author of three popular books (Kitchen Coquette, Bistronomy French Food Unbound, and Lulu Le Baby Chef) talks about her life before and after Le Cordon Bleu. I studied a Le Cordon Bleu Master of Arts (Gastronomy) in 2007; Hautes Etudes du Goût (Advanced Studies in Taste) with LCB Paris (2009), and Basic & Intermediate Cuisine at Le Cordon Bleu Sydney graduating in 2012. Where have you worked & in what roles since Le Cordon Bleu? 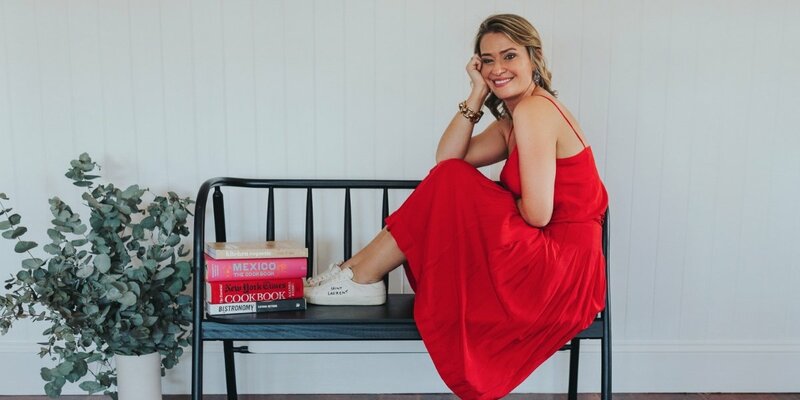 I’ve worked as a freelance food writer for Fairfax Daily Life/ Good Food (The Age and Sydney Morning Herald) and Gourmet Traveller, and as ghost writer/food editor assisting publishing houses and chefs with writing their cookbooks. I’ve authored three books: Kitchen Coquette, Bistronomy French Food Unbound, and Lulu Le Baby Chef. I am obsessed with food and I love the challenging and creative environment. I’ve always wanted the opportunity to use my hands when working, sitting at a desk all day was never going to be an option for me. I had been deliberating what to do with my growing obsession with food so I applied for a James Beard Scholarship and was lucky enough to receive two – which covered the costs of Basic and Intermediate Cuisine at Le Cordon Bleu. What did you enjoy most about your study at Le Cordon Bleu? I loved the practical classes at Le Cordon Bleu! The opportunity to cook every day and really cover off on the technical elements of cookery has helped me considerably in my daily career as both a food writer and recipe developer. I have found that chefs trust you more because they know you understand food and any food related terminology. It also gives you an excellent ability to critique or see issues with recipes – a very important time saver when working with chefs on their cookbooks. I am so sad, but we have recently lost three of the greatest and most inspiring food writers – AA Gill, Anthony Bourdain and Jonathon Gold. They had a unique ability to engage the average man with food and how food intersects and expresses our everyday lives. Thankfully, we still have the writing of Jay Rayner! My books. Writing and researching for Bistronomy French Food Unbound was a phenomenal experience. I received the Julia Child research grant via the James Beard Foundation and was able to interview chefs for the book and live in Paris for a few months, which was nothing short of glorious! It was an amazing opportunity to work with chefs who are without a doubt the best at what they do and also work with a publishing team that shared the same vision for the book. My latest book Lulu Le Baby Chef, a children’s book about a baby chef who travels the world searching for the perfect ingredient, has been a labour of love and to receive the wonderful feedback and also, participate in the early education of children about food has been an incredibly rewarding experience. What obstacles did you overcome and what did you learn? As a writer, you are constantly knocked back. Particularly in food, an extremely competitive publishing environment, so I have learnt to have a thick skin and to be persistent - you never know what is around the corner or who you might meet. Opportunity really is everywhere. What advice would you give to current Le Cordon Bleu students? To think broadly about what kind of career you want out of food. The industry and the opportunities within it are huge so it is really beneficial to keep an open mind. The kitchen can take many forms. Work hard. Work for free. Work for a pittance. Spend the time in restaurant kitchens, catering kitchens, magazine testing kitchens. This will really help you hone in on how you want to work within the industry.